A change proposed by the Conservatives in their new election bill would "directly affect" some Canadians' right to vote, former chief electoral officer Jean-Pierre Kingsley says. A change proposed by the Conservatives in their new election bill would "directly affect" some Canadians' right to vote, former chief electoral officer Jean-Pierre Kingsley said Tuesday. Abolishing the process of vouching, which serves as proof of a voter's identification, "will impact very negatively on the values of participation, impartiality and transparency," Kingsley told a committee of MPs. "Please. Please do not get rid of it," he said. Kingsley told MPs if they were concerned about vouching irregularities, which he and Chief Electoral Officer Marc Mayrand said were mainly improper record-keeping, Parliament should fix those problems rather than kill the whole process. The change to the vouching provision is one of several measures in Bill C-23 that Kingsley said need to be removed or changed, but it's one he emphasized in his opening statement. Mayrand, the current head of Elections Canada, said eliminating vouching will disenfranchise tens of thousands of people. Liberal Leader Justin Trudeau, speaking after question period, said he hopes the government pulls the bill entirely. "I'm very much hoping that the election bill will be withdrawn because it has been shown to be completely inconsistent with free and fair elections that Canadians expect," Trudeau said. New Democrat Leader Tom Mulcair, also speaking after question period, said changes to the laws governing our elections are always "the object of a consensus." "When you have over 100 legal experts from across the country getting together to say that this is dangerous for our democracy, you have every leading newspaper in this country, you have the former director general of elections and the current director general of elections, all concurring that this is a very dangerous thing for Canadian democratic institutions — it's time for the government to start listening," he said. Kingsley said Parliament should also look at giving Elections Canada the ability to ask a court to compel testimony during its investigations, another measure the election agency has requested in the past. Adding that measure to C-23 "would certainly provide a longer reach and sharper teeth," to the agency, Kingsley said, quoting Minister of State for Democratic Reform Pierre Poilievre. He also said it's time to force political parties to provide receipts for their spending to the chief electoral officer. That's something first recommended to MPs in 2004, Kingsley noted. Parties are reimbursed by taxpayers for many of their expenses. The 242-page bill contains a number of measures to update the Canada Elections Act, including some to prevent the abuse of automated robocalls. Asked by Conservative MP Tom Lukiwski whether a measure requiring telecommunications companies to hang onto robocall records for a year would help prevent the infamous calls placed in Guelph, Ont., in 2011, Kingsley said that they would. He also recommended adding a requirement to keep logs of the phone numbers contacted. But Kingsley qualified his comments, adding that having robocall records retained for one year for the companies that make the calls is "far too short." "To hold records for one year simply does not do it," he said. Political parties have six months to file their reports, at which point Elections Canada audits them. That process can take months, including a back-and-forth between the agency and candidates as they try to correct and adjust the return. "Now, if there's anything wrong, after you've dealt with the party to-and-fro, you then have to refer this to the commissioner for investigations. And then that has to be referred to the prosecutor. One year doesn't do it," Kingsley said. 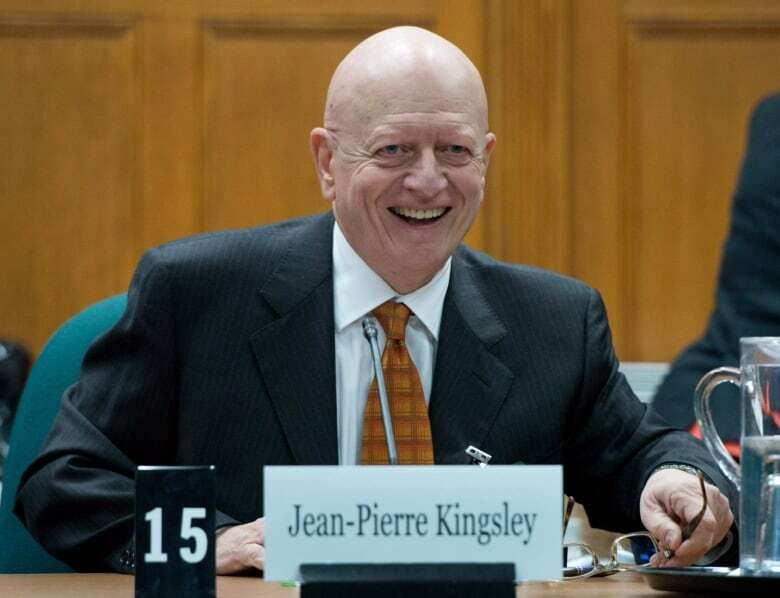 The last time Kingsley spoke publicly about C-23 was the day the bill was tabled by Poilievre. Kingsley gave the bill an A- grade that day. Since then, critics have raised numerous problems about the 242-page bill, including concerns about the elimination of vouching as a way to prove a voter's identity. Kingsley refused to reassess the bill, saying only that his recommendations, if implemented, would bring the bill up to A+. Mayrand and opposition MPs have also raised concerns about a measure that would let parties hire companies to raise money from past donors, but wouldn't count that toward a campaign spending limit — essentially letting them spend as much as they choose. The NDP has said it's difficult to separate a call soliciting money from a call soliciting a vote, a concern Kingsley echoed. "It is simply not possible to seek funds without including reasons for giving and this can only constitute advertising for or against a party or a candidate," he said. The bill would also limit the chief electoral officer to speaking on four narrow subjects, including when and how to vote. Kingsley said he's worried about that provision. "The chief electoral officer must retain the authority to reach out to all Canadians, to speak to them about our electoral democracy, the importance of our constitutional right to vote, and the methods and the values of the core of our electoral system," he said. "He speaks without regard to partisanship, while candidates and parties do so typically in a partisan manner with the legitimate purpose of obtaining their vote ... The chief electoral officer must retain the authority to provide the information requested by the media and to share any information he deems pertinent with Canadians at any time. His overarching concern is the integrity of our electoral system.​"
Kingsley also had some criticism for a previous change that put the director of public prosecutions, a separate office, in charge of deciding whether to charge somebody following an Elections Canada investigation. That slowed down Elections Canada's ability to complete investigations, he suggested. The new changes would move the commissioner of Canada Elections to the prosecutor's office, separating the commissioner from the main election agency and further slowing down investigations. "In the performance of his investigative functions, the commissioner has always operated independently of the chief electoral officer and will continue to act independently of the director of public prosecutions," Kingsley said. "What is lost is the simplicity of the previous enforcement regime, its cost-effectiveness and the timeliness of prosecutions." Mobile users, click here to read the liveblog.